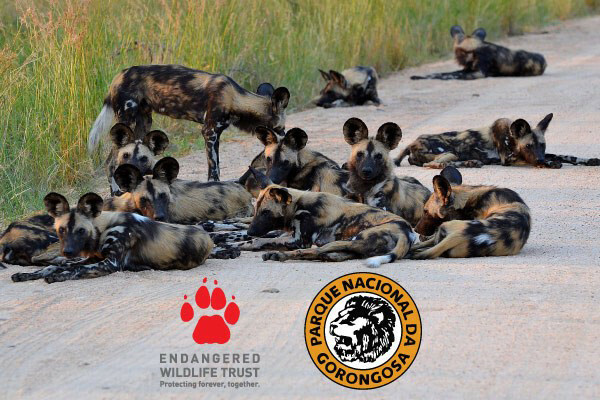 Wild Dogs return to Gorongosa National Park Mozambique, after decades of absence. With only around 6,600 Wild Dogs left in Africa, this incredible animal is one of the continent’s most at-risk carnivores and is listed by the IUCN as Endangered. 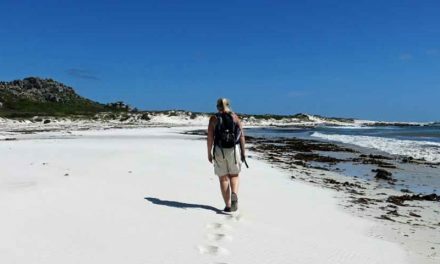 Urgent action is required to save them, and a key conservation strategy is the reintroduction of packs into viable habitats where they once occurred. The Endangered Wildlife Trust (EWT), champion of conservation in Africa, and Gorongosa National Park are thrilled to announce one of the most exciting Wild Dog reintroductions yet, as part of their efforts to save this highly threatened species. Wild Dogs will soon roam free in Gorongosa for the first time in decades. This historic transboundary event will take place on 16 April 2018. In a move to reverse the trends of Wild Dog populations in southern Africa, a partnership has been established between the EWT and Gorongosa National Park to secure the reintroduction of the park’s first pack of Wild Dogs. This is a landmark occasion, as Wild Dogs have never been reintroduced to any park, protected area, game reserve or other space in Mozambique. Male Wild Dogs from uMkhuze Game Reserve in KwaZulu-Natal (KZN) that naturally dispersed from their pack in late 2016 and free-roaming female Wild Dogs from the region are earmarked for this reintroduction. The EWT, along with local partners Ezemvelo KZN Wildlife (EKZNW), the KZN state veterinary department, WildlifeACT, Maremani Game Reserve, LEDET, and the Bateleurs, have caught the two unrelated groups of Wild Dogs and brought them together to bond in a boma at Phongola Nature Reserve in KZN in South Africa. Once the Wild Dogs have been sedated prior to departure, the pack will be fitted with GPS collars and VHF collars to allow for close monitoring once released. All individuals will also be vaccinated against canine distemper and rabies before leaving for Mozambique, as infectious diseases are a big threat to Wild Dogs. This new pack will be flown from the Phongola boma to Gorongosa by the Bateleurs, to ensure a quick and stress-free journey. The EWT and Bateleurs have previously transported 29 Wild Dogs with 100% success and safety rate. Gorongosa National Park has been described as one of the most diverse parks on Earth, covering a vast expanse of 400,000 hectares. In recent years, the Gorongosa Project, with the support of Mozambique’s National Administration of Conservation Areas (ANAC), has ensured the protection of a recovering population of Lions in this system, successfully reduced key threats and seen the park become recognised as one of National Geographic’s ‘Last Wild Places.’ It is fitting that, by returning Wild Dogs to Gorongosa, one of the most threatened mammals in southern Africa is about to take a bold step towards restoring their native range in the region.